The Small UAS Safety Certificate is designed to set a safety inspired foundation for any UAS operation. The Unmanned Safety Institute’s Small UAS Safety Certificate covers all pertinent aeronautical knowledge as outlined by the FAA and augments this knowledge with safety practices that will ensure all participants are responsible remote pilots ready to lead in the UAS industry. The Small UAS Safety Certificate meets both the safety-training requirement for USI PRO™ ratings and the FAA knowledge areas required for the Remote Pilot Airman Certificate. The Small UAS Safety Certificate also gives remote pilots a sound foundation in the theoretical, covering a wide survey of UAS technologies and concepts. In order to qualify for the certificate, applicants must complete an approved course of study covering the course themes and a pass a proctored exam. This curriculum will require learners to dedicate considerable time and independent study. The total time required is estimated at 155 hours, with each of the four courses requiring approximately 39 hours of work. The learner will identify important UAS technologies, platforms, and systems. The learner will discuss the origins and development of unmanned aviation. The learner will discuss commercial and government application of small UAS technology. The learner will explore the key concepts and theories associated with remote sensing. The learner will discuss the ethics and privacy considerations in the operation of unmanned aircraft. The learner will generalize the principles of small UAS aerodynamics and performance. The learner will interpret aviation rules and regulations as they pertain to UAS. The learner will plan for powered flight in the National Airspace System (NAS). The learner will prepare to communicate with air traffic control and conflict aircraft. The learner will recall regulation mandated remote pilot standards and restrictions. The learner will interpret the concept of small UAS airworthiness. The learner will generalize how aviation safety systems apply to UAS. The learner will discuss the human factors associated with UAS. The learner will relate Crew Resource Management (CRM) principles to UAS operations. 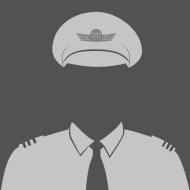 The learner will develop attitudes and behaviors associated with aviation safety. standardized structure consisting of required readings, assignments, and progress assessments.